In John Mueller’s webmaster hangout on 6 Nov 2015, I noticed a few comments on website moves which are interesting and go against standard recommendations for SEO. In a site move (new domain name), Google considers 302s and 301s as equivalent. How long it takes for the new URLs to show rather than old ones is hard to say. John Mueller says it’s from hours to maybe a day. 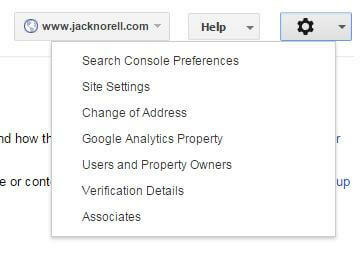 This is based on how Google crawls a website, indicating that the moved page needs to be recrawled after the change of address setting & redirects are live before the move takes effect. The full move can take up to half a year, maybe longer. If a site:oldsite.com advanced query is used, the indexed pages won’t drop out of the SERPs entirely until the site’s indexed pages are fully recrawled. Conversely, a site:newsite.com query will show a fast initial growth in indexed pages, and then a trickle of further URLs added over time. Note that 301s are recommended by Google in their guidance for site moves. In other words, it’s still best practice to use 301s. But if you’re not able to use 301 redirects, you can use 302 redirects in site moves without losing PageRank. Unfortunately, not everyone manages to get redirects set up correctly, and for us as consultants this means we may be able to work around it. Not optimal, but if it’s an older migration you start working on, can possibly avoid a difficult ‘fight’ with hosting etc to change the redirect type. Naturally, if the site did see significant traffic from search engines apart from Google, and not anymore after a site move, then getting those redirects changed will improve matters. The other interesting part for me is that Google doesn’t see 302s as temporary over longer time periods, but will separate the actual vs. theoretical behaviour (from the response code standards). And, that 302s will eventually carry page rank value within their algorithm. That’s intuitively correct and makes sense, but contrasts common SEO knowledge. On a new site move, I’d be absolutely opposed to 302s as they won’t do as well as 301s.